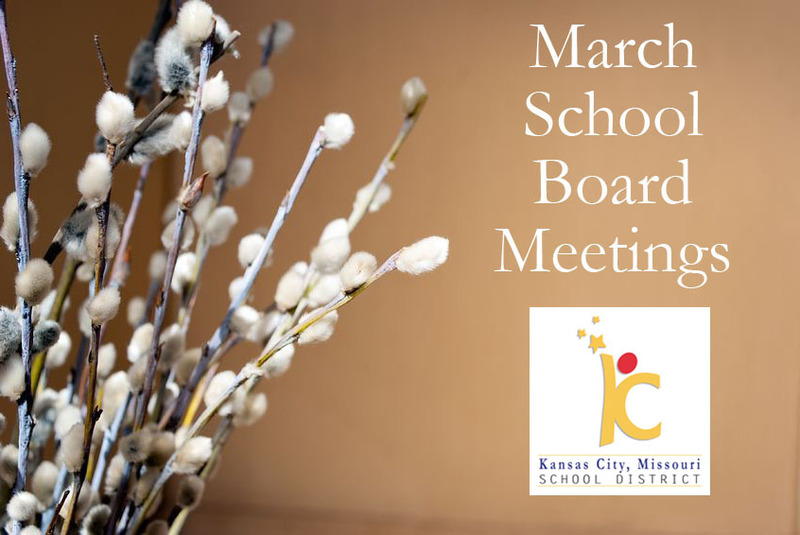 The Kansas City, Missouri School District’s Board of Education will meet Wednesday, March 28, at 6:30 p.m. In addition to routine items on the agenda, such as making a deposit to cover expenses for next week’s school board election and authorizing funding for summer school, board members have a full schedule this evening. They will hear a report from Interim Superintendent Stephen Green, who will provide an update on re-accreditation efforts. Board members also will consider modifying the district’s Financial Conditions and Activity policy. Another significant agenda item is consideration of the sale of two former school buildings. Seven Oaks Estates, LP — a partnership between the Greater Corinthian Community Development Corporation and Mid-Continent Equity Partners — has expressed interest in purchasing the former Seven Oaks School, 3711 Jackson. And the Guadalupe Center, Inc. — which operates Alta Vista Charter High School and Middle School — has expressed interest in purchasing the former Douglass School, 2640 Belleview. If approved, these sales would be part of the district’s Repurposing Initiative to find new uses for closed buildings.